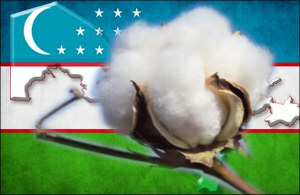 The first three weeks of the barely started cotton season in Uzbekistan has already claimed lives of four people. 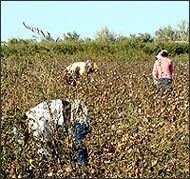 However, since 21 September Uzbek officials are fulfilling the Prime Minister's order prohibiting taking state employees to cotton fields. What made the Uzbek government dramatically change its policy towards using forced labour in agriculture? And is it the end of the long-standing and humiliating "cotton slavery" in the country? If you google “modern cotton slavery” phrase you would immediately understand what a country will be discussed. These words are tightly connected with Uzbekistan. Although, how much tightly? With the change of the head of state, the population of this country and civil society has had a weak hope of getting rid of the long-term cotton slavery. And while in autumn 2016 the situation in the cotton industry has not changed much, but human rights activists do not give up hope. Again and again, they try to draw the attention of the world community as a whole and of the World Bank which pursues its interests in this country, in particular, to this one of the major problems of Uzbekistan. The Harvard International Review's January 2017 edition includes an academic article on problems with water supply in Central Asia. The article author Alisher Ilkhamov is a Research Associate at the Centre of Contemporary Central Asia & the Caucasus at the School of Oriental and African Studies (SOAS), University of London. 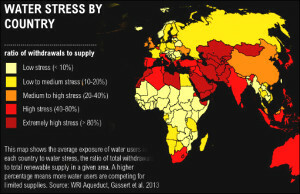 According to Mr Ilkhamov, the worsening international relations in the region are the main source of water-related problems in post-Soviet Central Asia. 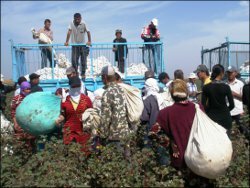 The state-run system of forced labour will further be implemented in Uzbekistan, and the Uzbek authorities will continue diligently hiding this from the World Bank and International Labour Organisation. The latter two, by the way, do not seem to be very keen to uncover and discover any violations—doing so is unnecessary at this time. This also means two genuinely human rights advocates will have to continue monitoring the situation despite problems and obstacles the local authorities continue mounting to prevent their activities. They call themselves Besstrashnye [The Fearless Ones]. The group includes Yelena Urlayeva, the leader of the Human Rights Alliance of Uzbekistan (HRAU), and Malohat Eshonqulova, an independent journalist. 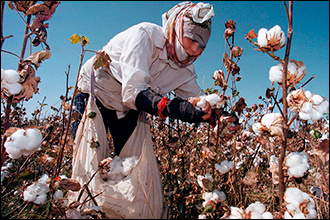 According to many employees of state-funded institutions, who have been forcefully sent to cotton fields in Uzbekistan, they manually collected the entire harvest of cotton this year. They report seeing not even one cotton-picking machine throughout the whole period of their work on the fields. Meanwhile, the official mass media are tirelessly reporting on grandiose achievements in the Uzbek economy’s cotton sector. But are falling short to mention these achievements have been secured thanks to almost free-of-charge slave labour. The authorities of Uzbekistan relentlessly try to convince that doctors, educators and their students volunteer to travel and contribute to agriculture activities every autumn. Yet, critics of the incumbent authorities continuously maintain forced labour and extortion are rampant on the part of state officials; the conditions of living and food are slavish; diseases and traumas are ubiquitous, while death, too, occurs among the cotton-pickers that have been pulled out of civilised life and thrown onto the “cotton front”. But who is right? In order to get to the root of the problem and experience a personal encounter, photojournalist Timur Karpov travelled to a cotton field from his native Tashkent. 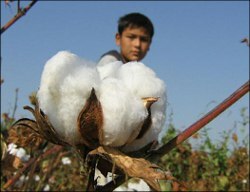 On 15 Sep 2013, a 6-year-old child suffocated to death under a heap of raw cotton in Bukhara Region in western Uzbekistan. The boy did not go to school on that day, but went to a cotton field to help his mother. He climbed into a trailer and fell asleep. Those collecting cotton did not notice him and dumped raw cotton collected during the day. The child’s dead body was only discovered at a raw cotton storing facility. 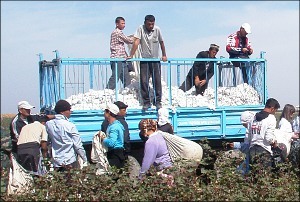 The 2012 cotton harvest in Uzbekistan has concluded, and the system of forced labor of cotton production remained the same as in previous years. 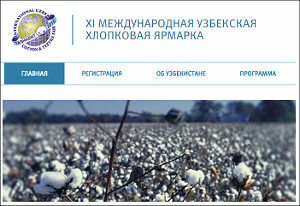 December 20, 2012, the Uzbek-German Forum for Human Rights and the Cotton Campaign released the Review of the 2012 Cotton Harvest, which explains that implementation of the forced labor system was carried out with a demographic shift to older children and more adults, accompanied with an unprecedented scale of corruption. The Review presents observations by human rights defenders throughout Uzbekistan, and highlights the following disturbing trends: continued forced child labor despite a demographic shift of the burden to older children, intensified forced labor of adults, continued rejection of independent monitoring, continued harassment of Uzbek citizens who attempted to monitor, and increased extraction of financial and other resources from Uzbek citizens by government authorities. The Eighth International Uzbek Cotton and Textile Fair is taking place in Tashkent (Uzbekistan) on 17 to 18 October and Uzbekistan’s official media reports that it will be attended by world traders. According to the critics of Islam Karimov’s regime, which has been sending the republic’s unfortunate citizens to “help” the farmers since Soviet times, Western countries are gradually turning away from Uzbekistan’s “white gold” because of the use of forced child and teenage labourers. In the mid of October the air temperature in the Republic of Karakalpakstan varies from +3 degrees in the night to +25 in the day. 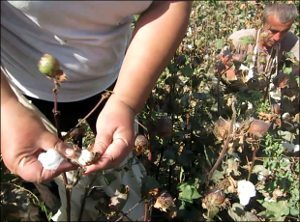 Under various temperatures the undersized cotton plant cracks down, forcing the cotton growers, especially kids, stay longer at the fields. Along with the employees of government-sponsored organizations they gather imponderable boxes (2-3 gram) every day. In order to gather one kilo of "white gold" they have to make at least 300 prehensile moves in the thorny bushes. At the same time, they eat third-rate macaronis. 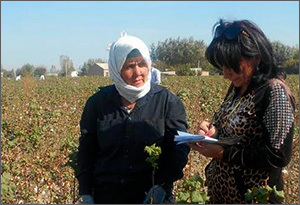 Since September 20 the students of colleges and lyceums in Yangiyul rayon of the Tashkent Oblast in Uzbekistan have been working in the cotton fields. The local residents say that secondary school students in the remote villages of the same area also started the cotton season. Ferghana.Ru correspondents decided to learn more about the schoolchildren labor in harvesting raw cotton.